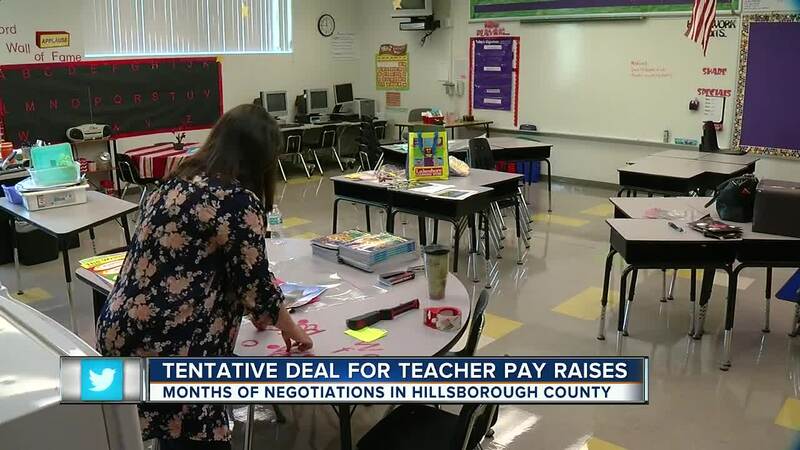 Hillsborough County Public Schools and the Hillsborough Classroom Teachers Association announced Wednesday they have reached a tentative agreement for the upcoming 2018-2019 school year. The agreement includes pay raises, a reduction in child care costs and other benefits. At a news conference on Wednesday, Superintendent Jeff Eakins said "it's a good day." The tentative agreement must now be voted on by the Hillsborough County School Board and approved by a majority of members of the Hillsborough Classroom Teachers Association union. The teachers union consists of approximately 15,500 teachers and 4,500 educational support personnel. The tentative agreement would deliver $4,000 raises to both groups of teachers discussed in recent negotiations - those who were eligible for "one-level" increases in the 2017-2018 school years. But it does come at a cost. The union has agreed to give up one-third of the promised $4,000 for a year. Meaning teachers lose out on about $1,333. Teachers' aides and other instructional support staff would receive a pay raise of approximately 6.25% and a one-time bonus of $150. 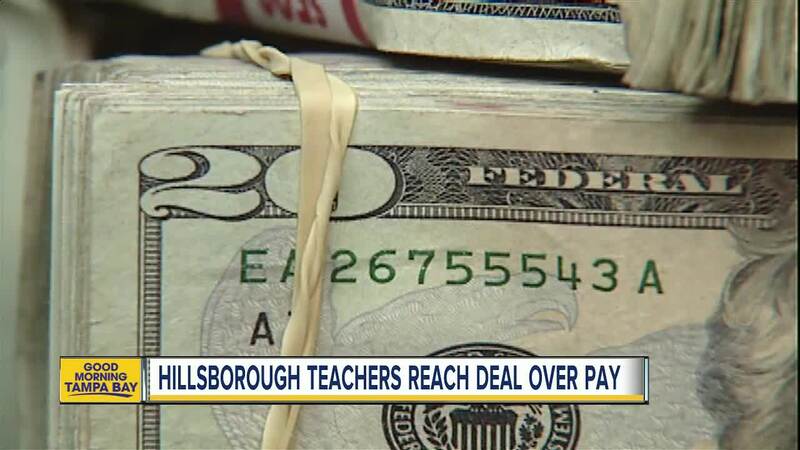 Experienced teachers at the top of the pay scale would receive a one-time payment of up to 2% of their salary, according to a press release from Hillsborough County Public Schools. To make the agreement possible, district leaders reduced expenses to make more funds available for compensation. The district saved about $32 million dollars by cutting 800 positions and cutting spending. It's also working to end a budget deficit that stood at $130 million just three years ago.